Africa on Screen Film Festival celebrates the latest and best cinema from African-origin writers, filmmakers and actors. Come and enjoy this rare opportunity to laugh, fall in love and have your heart broken to award-winning feature-length and short films from the ever-evolving continent. The diverse cinematic visions from the various films will touch on the idea of coming home to the identity of oneself. Join the Africa on Screen team for this years industry networking night duly dubbed - Creative Indaba. Africa On Screen will host this local filmmakers and creatives networking night kicking off with a pre festival - launch of the 2018 short film selection. Whether you are a film or media student; an aspiring or existing screenwriter, editor, director or producer; a film aficionado or just curious, come meet, mingle and be inspired. Using bold words and equally dramatic movements, seven Afro-Australian women share their experiences and express their ideas about living in the skin they're in. Filmed in Melbourne "LUV, LOVE!,LOVE" is a 3 part Film. Each film deals with a defining moment within a long Distance relationship, told through a series of voice notes. Aisha and her friends are planning a slumber party before they all start different High Schools. Her mother, however, has other plans – forcing Aisha to stay with her Grandmother for a week before she leaves for Somalia indefinitely. 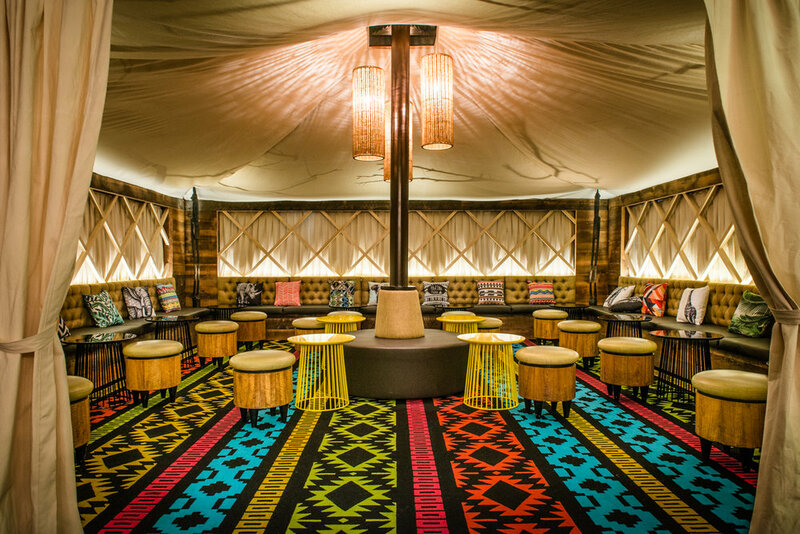 Pole Pole Glamp Cocktail Bar - Venue for Africa On Screen Creative Indaba Networking Night. we can’ wait to see you there! for FURTHER details, ticketing and trailers, see below. Twenty years after fleeing from the brutal police aggression in colonial Marseilles, a member of the Five Fingers returns seeking peace, but with the town under new threat, he must reluctantly fight to free it, in this thriller from South African filmmaker Michael Matthews. himself embroiled in a bitter rivalry that pushes him to his limit..
discovers the truth about his origins. During my journey back to Zimbabwe I was inspired to create a documentary film called “Abantu: People of Art”. The purpose behind the ‘Abantu’ (meaning ‘people’ in Zulu/Ndebele language) project is to highlight the lives of young creatives located across Zimbabwe. They discussed their artistry and the struggle of being a young artists in Zimbabwe’s creative industry/scene. Despite; the doubt from their community which creates self doubt and the economic instability, they never lose sight of their vision. Single mother Anesu's life is turned upside down when her son enters her into a reality TV competition. A refreshing view of contemporary life in Harare, Zimbabwe, told through the lens of a classic romantic comedy.